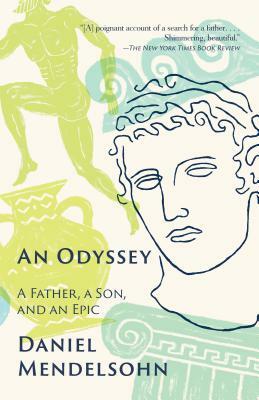 From award-winning memoirist and critic, and bestselling author of The Lost: a deeply moving tale of a father and son's transformative journey in reading--and reliving--Homer's epic masterpiece. When eighty-one-year-old Jay Mendelsohn decides to enroll in the undergraduate Odyssey seminar his son teaches at Bard College, the two find themselves on an adventure as profoundly emotional as it is intellectual. For Jay, a retired research scientist who sees the world through a mathematician's unforgiving eyes, this return to the classroom is his "one last chance" to learn the great literature he'd neglected in his youth--and, even more, a final opportunity to more fully understand his son, a writer and classicist. But through the sometimes uncomfortable months that the two men explore Homer's great work together--first in the classroom, where Jay persistently challenges his son's interpretations, and then during a surprise-filled Mediterranean journey retracing Odysseus's famous voyages--it becomes clear that Daniel has much to learn, too: Jay's responses to both the text and the travels gradually uncover long-buried secrets that allow the son to understand his difficult father at last. As this intricately woven memoir builds to its wrenching climax, Mendelsohn's narrative comes to echo the Odyssey itself, with its timeless themes of deception and recognition, marriage and children, the pleasures of travel and the meaning of home. Rich with literary and emotional insight, An Odyssey is a renowned author-scholar's most triumphant entwining yet of personal narrative and literary exploration. DANIEL MENDELSOHN is a frequent contributor to The New Yorker and The New York Review of Books, where he is the Editor at Large. His books include the international best seller The Lost: A Search for Six of Six Million, winner of the National Book Critics Circle Award and many other honors; a memoir, The Elusive Embrace, a New York Times Notable Book and a Los Angeles Times Best Book of the Year; a translation, with commentary, of the complete poems of C. P. Cavafy; and two collections of essays, How Beautiful It Is and How Easily It Can Be Broken and Waiting for the Barbarians. A professor of Humanities at Bard College, he is Director of the Robert B. Silvers Foundation.